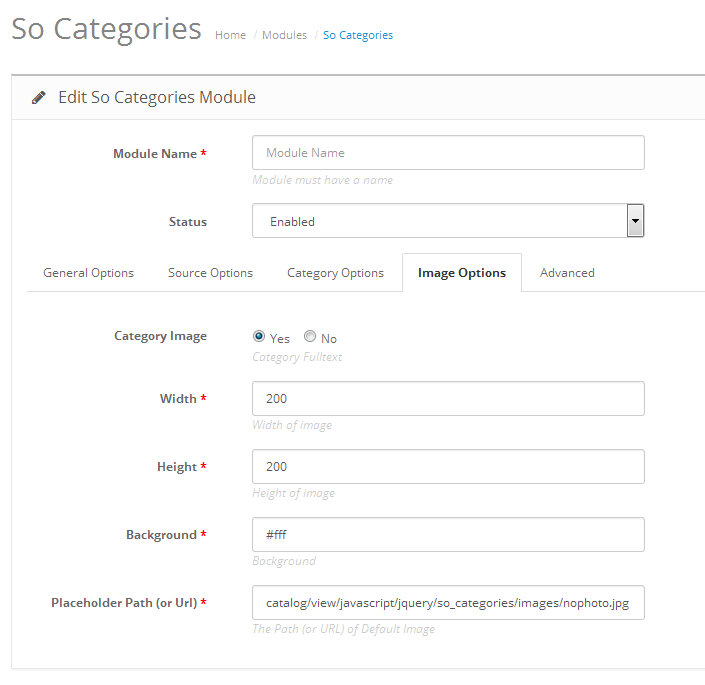 So Categories – A professional responsive module for Opencart 3 & 2.3.x Versions. 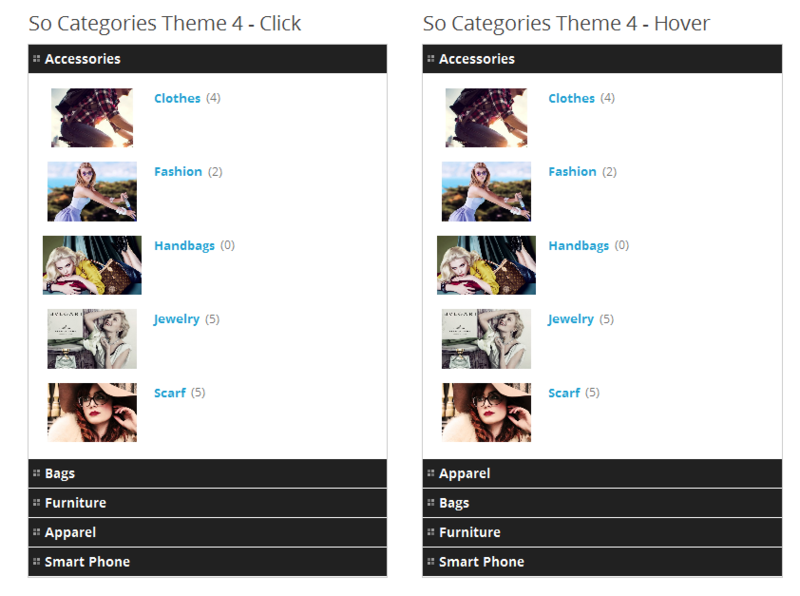 So Categories helps to display all sections, categories in a very neat style on your website. 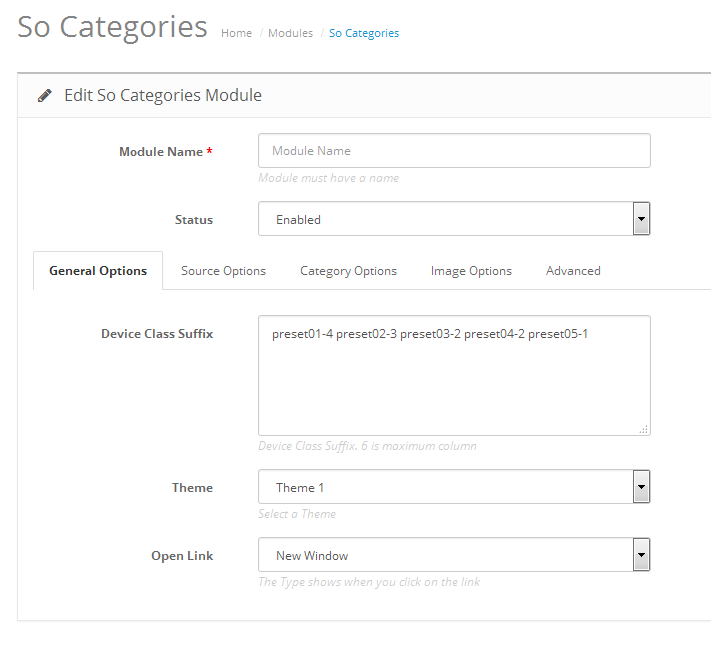 The module supports 4 themes with a lot of common parameters so that you can easily change via the admin panel. 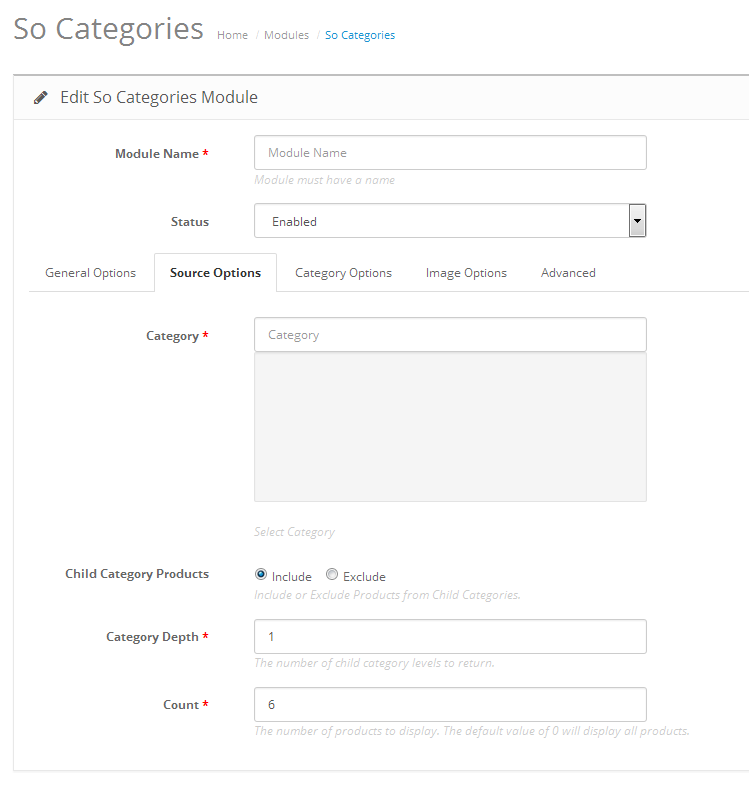 You also can use dozens of options to add news or modify categories / sub-categories appearance in order to allow the visitors navigate among the various links and content. 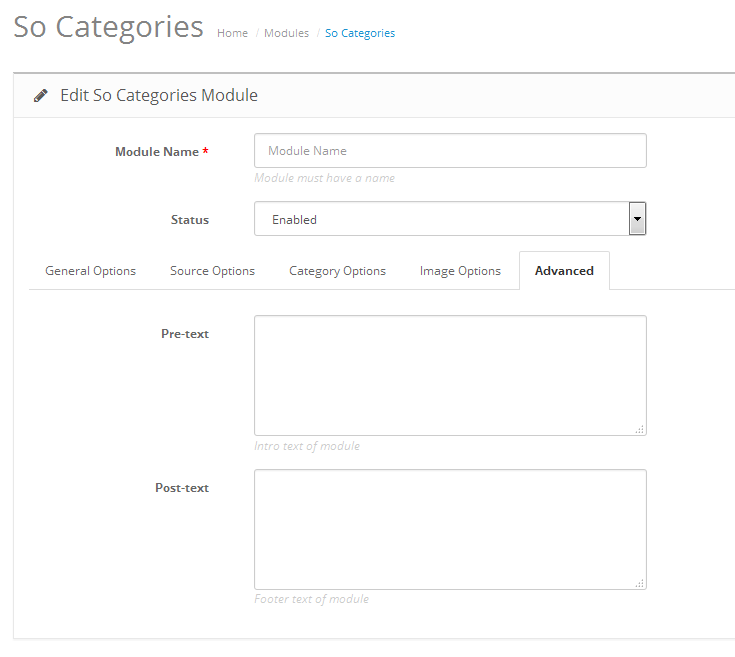 Besides, So Categories provides an easy-to-customize backend interface along with a detailed instruction, therefore, it allows you to totally control the module. 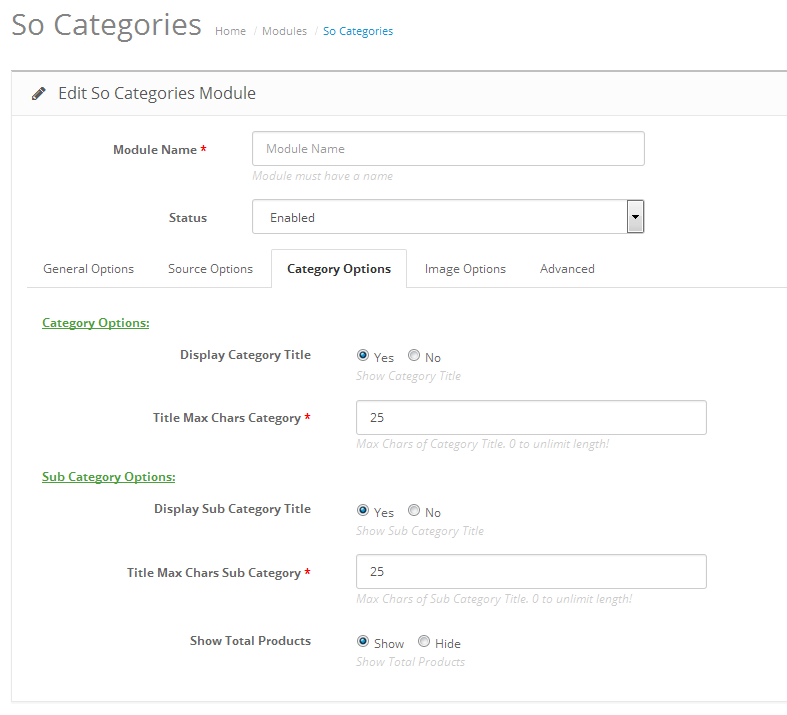 So Categories should be a great solution for categories displaying for Opencart. 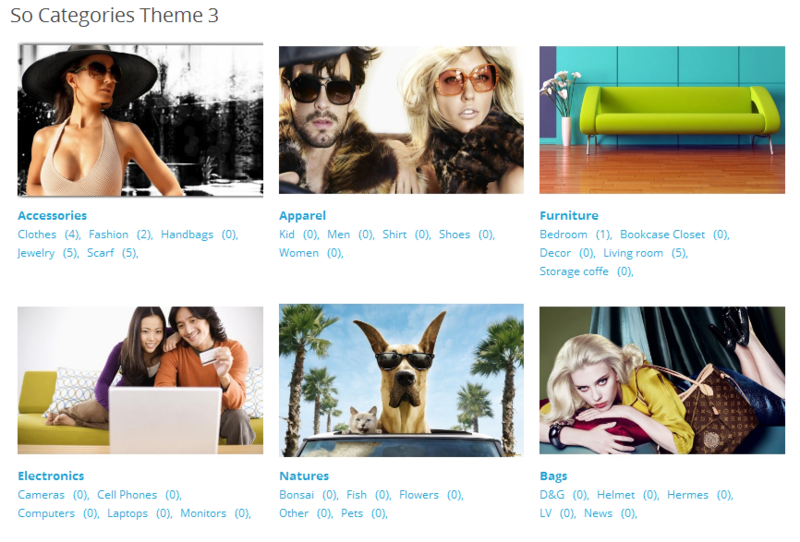 It can be allocated wherever you want on your website to effectively highlight your content. Let’s check out the Demo to feel more!